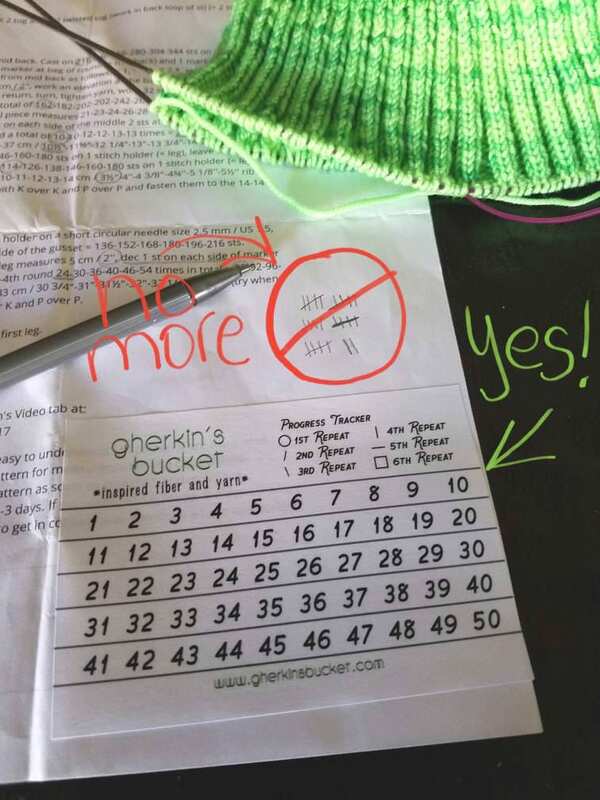 Tired of reprinting worksheets and patterns after scribbling and keeping tally in the margins? Don't want to write directly in your books? 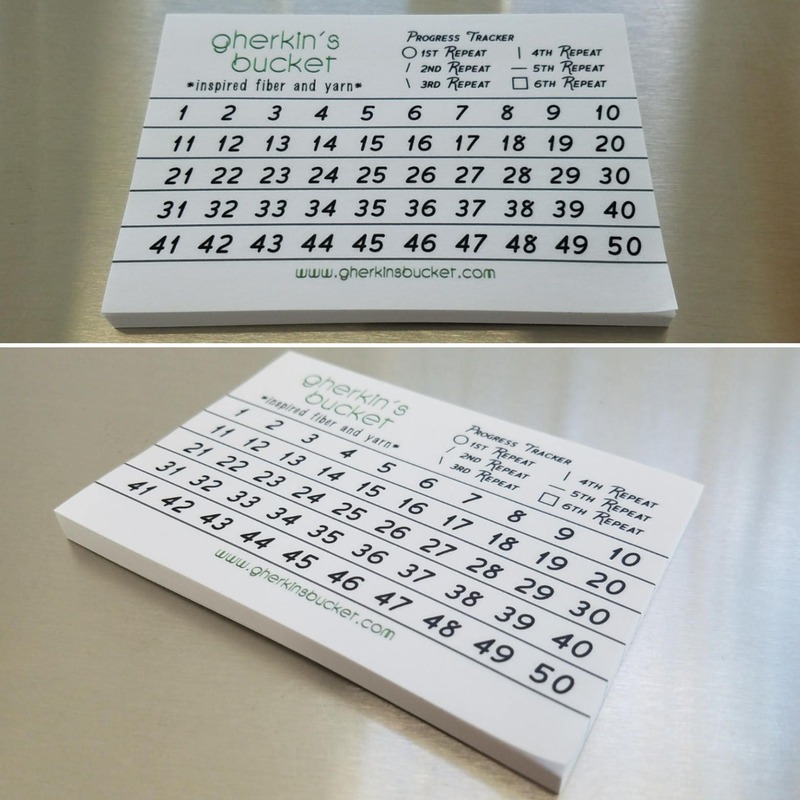 Want to keep your progress handy without worrying about losing index cards and scrap paper? The GB Progress Tracker is a Post-it (R) note custom-printed with my own design for tracking up to 6 repeats of up to 50 items/tasks in a compact space. Each sheet is pre-printed with the numbers 1-50 and a legend of my own personal method for tracking progress. Keep track of whatever you are counting, wherever you need it, and move it from place to place easily without damaging pages. During your 1st repeat, place a Circle around each number. During your 2nd repeat, place a Slash through each number. During your 3rd repeat, place a Backslash though each number. During your 4th repeat, place a Vertical Line through each number. During your 5th repeat, place a Horizontal Line through each number. During your 6th repeat, place a Square around each number. Each pad contains 50 sheets and is 4" wide by 3" tall, with a repositionable-adhesive strip running across the top edge. You will receive TWO 50-sheet pads.